(CBS/AP) CHICAGO - More elderly patients are undergoing knee replacement surgeries in order to remain active in their later years. However, current money-saving practices and the increasing rate of obesity may be leading to more additional surgeries and more costs in the long run. The findings are in a study of more than 3 million Medicare patients, aged 65 and older, who got artificial knees from 1991 through 2010. The number of initial knee-replacement surgeries each year on these older patients more than doubled during that time and rose to nearly 244,000 in 2010, an increase of 162 percent. 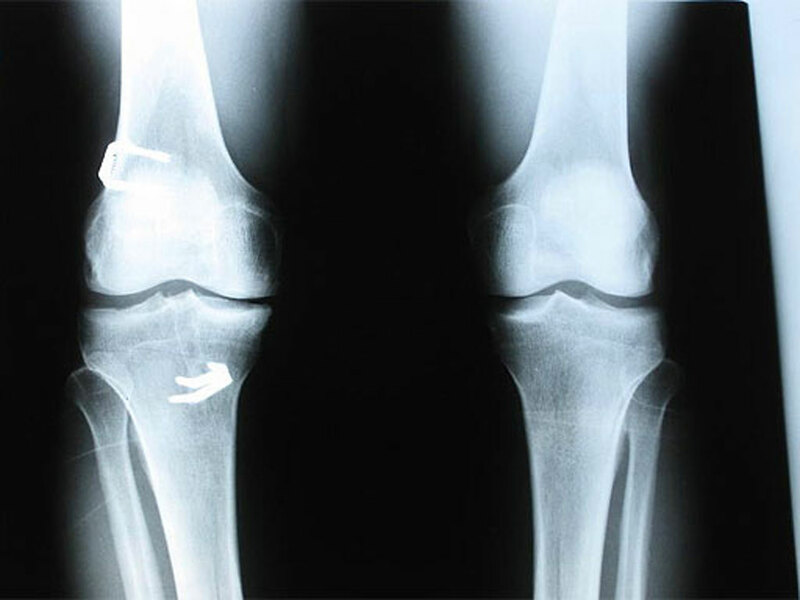 Revision surgeries, procedures to repair previously implanted artificial knee joints, also rose 106 percent in the same time period. Patients were in their mid-70s on average when they had surgery; that age edged up slightly during the study. The aging population and rising numbers of Medicare enrollees contributed to the increase. But the per capita rate also increased, from about 3 surgeries per 10,000 enrollees in 1991 to 5 per 10,000 in 2010. About 60 percent of these procedures are covered by Medicare, and they cost on average $15,000 per patient. "There's a huge percentage of older adults who are living longer and want to be active," and knee replacement surgery is very effective, said lead author Dr. Peter Cram, an associate professor of internal medicine at the University of Iowa. The study was published on Sept 26. in the Journal of the American Medical Association. The pace of growth slowed in more recent years, possibly because increasing numbers of younger adults have also been getting artificial knees, which typically last 15 to 20 years. The troubled economy may also have slowed demand, the study authors said. About 600,000 knee replacement surgeries are done each year nationwide on adults of all ages, costing a total of $9 billion, the authors said. A journal editorial says measures are needed to control costs of these operations, noting that demand has been projected to rise to as many as almost 4 million knee operations annually by 2030. Obese older patient getting their first operations accounted for almost 12 percent, up from 4 percent. The rate was about the same in those getting redos. Obesity takes a toll on joints and can contribute to arthritis, a leading reason for knee replacement surgery. The Centers For Disease Control and Prevention estimate that more than one-third of U.S. adults, 35.7 percent, are obese. The average hospital stay dropped from almost eight days to 3 1/2 days, but many patients were sent to rehab centers, mostly outpatient centers in the most recent years. Readmission rates after first and second operations increased in recent years for reasons including infections and surgery complications. The results suggest that shortening hospital stays doesn't always achieve the goal of reducing costs, since readmissions increased, a trend seen with other types of surgeries and illnesses.